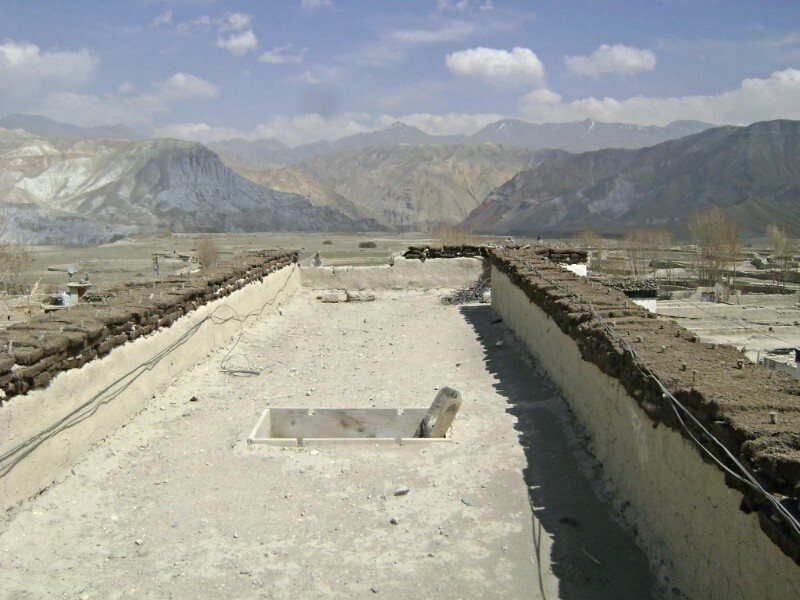 Upper Mustang with the Living Earth Institute and BMKF. 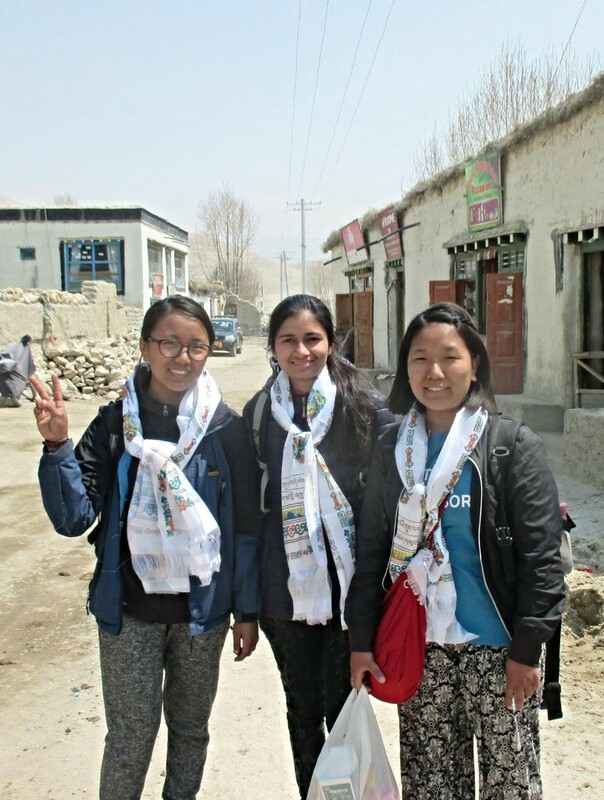 In late April, three BMKF scholars traveled to Mustang on a mission: to conduct a field survey for the Living Earth Institute (LEI), a Seattle-based nonprofit that helps international communities develop sustainable water and sanitation solutions. 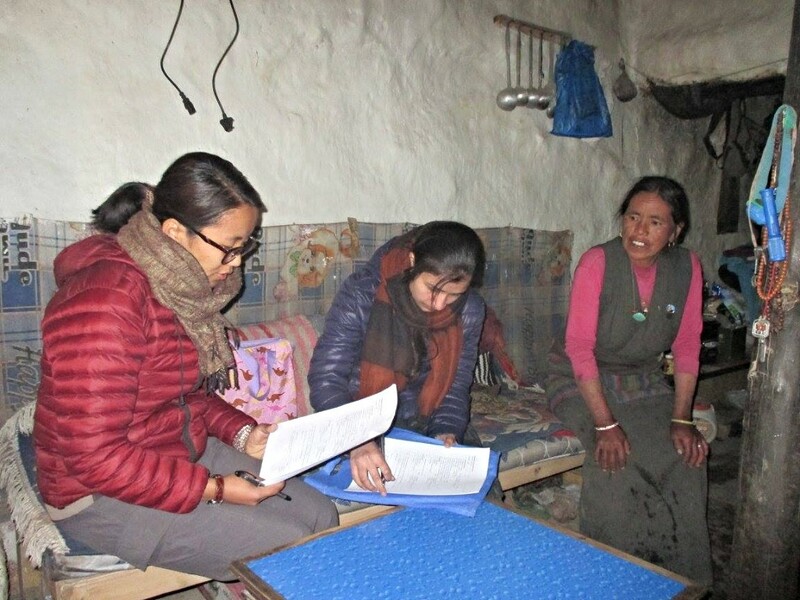 Neema Sherpa ’14, Pema Sherpa ’15, and Babita Sharma ’16 were selected to carry out the project. 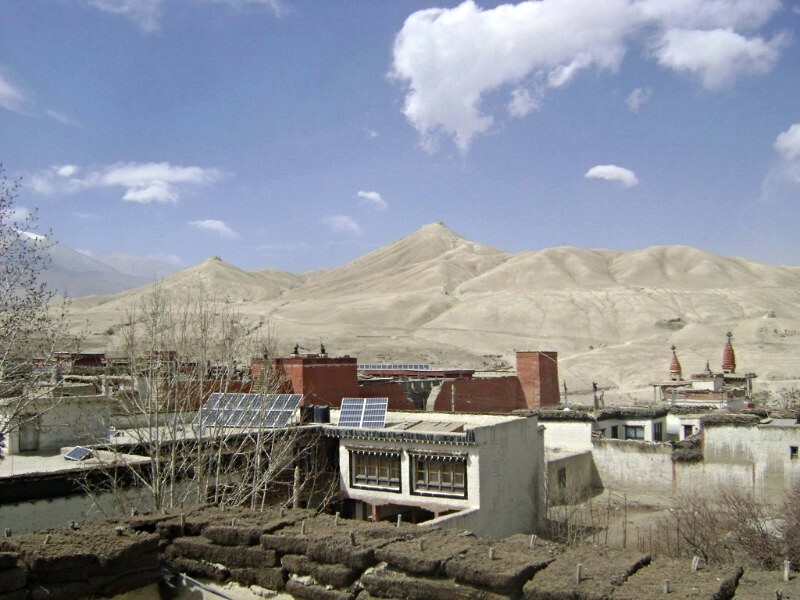 Their goal was to assess the current practices and conditions of water and sanitation in the village of Lo-Manthang in Upper Mustang. They needed to see if the villagers would be interested in household toilets and gather enough information for LEI to evaluate if a toilet construction project would be feasible. 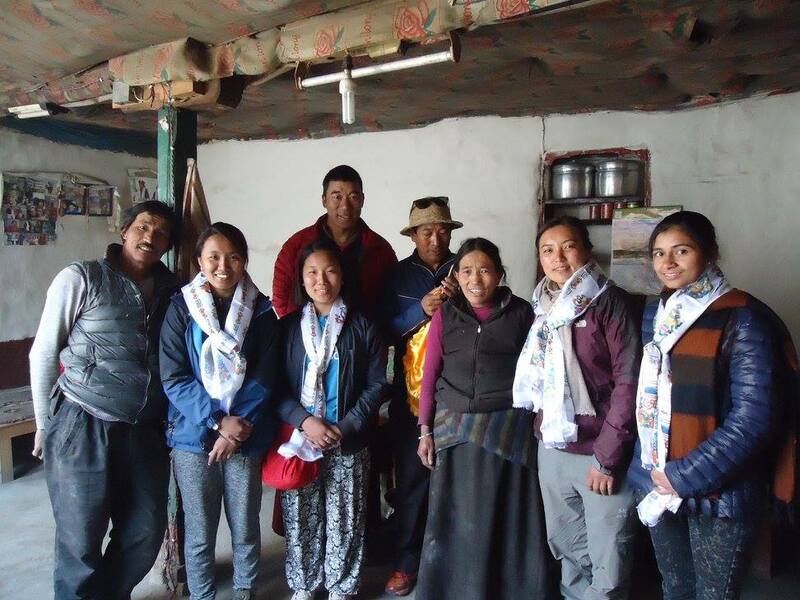 Over the course of five days, the young women met with Lo-Manthang’s community leaders, surveyed 76 households, and facilitated a community focus group to gather feedback. 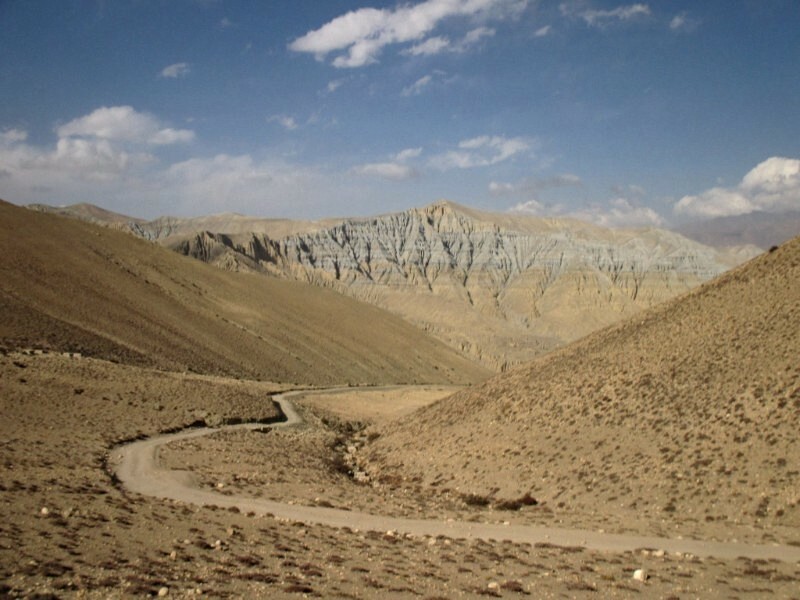 Travel from Kathmandu to Upper Mustang took the field survey team three whole days by bus and jeep. 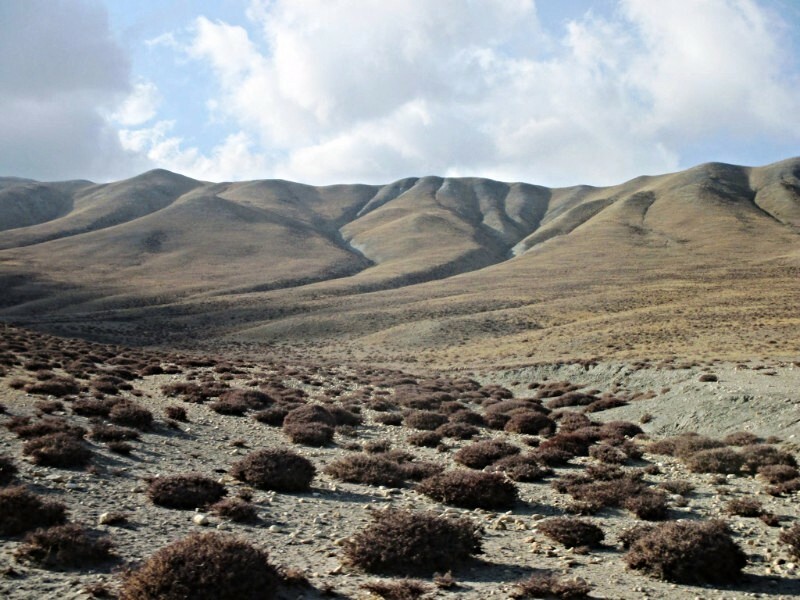 “The ride was adventurous, given the bump-shaking journey on a single lane, off roads (no black top) across steep barren hills,” said Neema, who led the project and says the chance to visit the region fulfilled a cherished goal. Leading the survey project, Neema says, provided a great sense of achievement. “Locals, foreigners, and domestic tourists were surprised and glad to see our team of young ladies led by a lady (myself!) come so far to conduct relevant research given the scenario that the villagers still have primitive toilets,” she said. 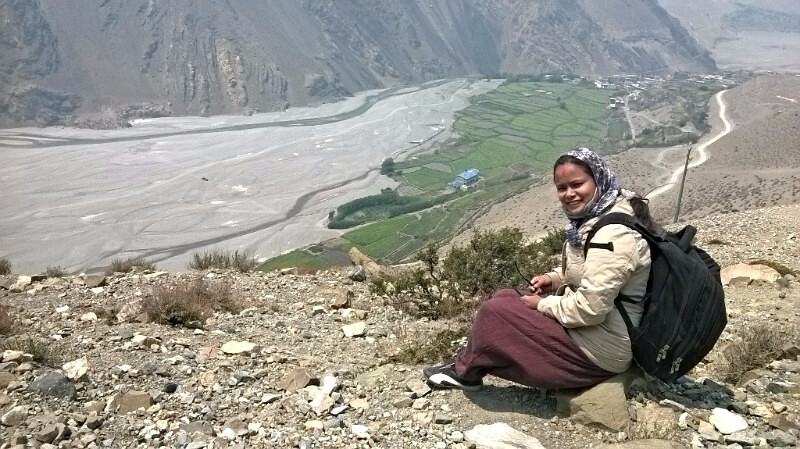 To read more about the BMKF/LEI water sanitation survey project and see photos from Mustang, visit our website www.bomkarlsson.org. 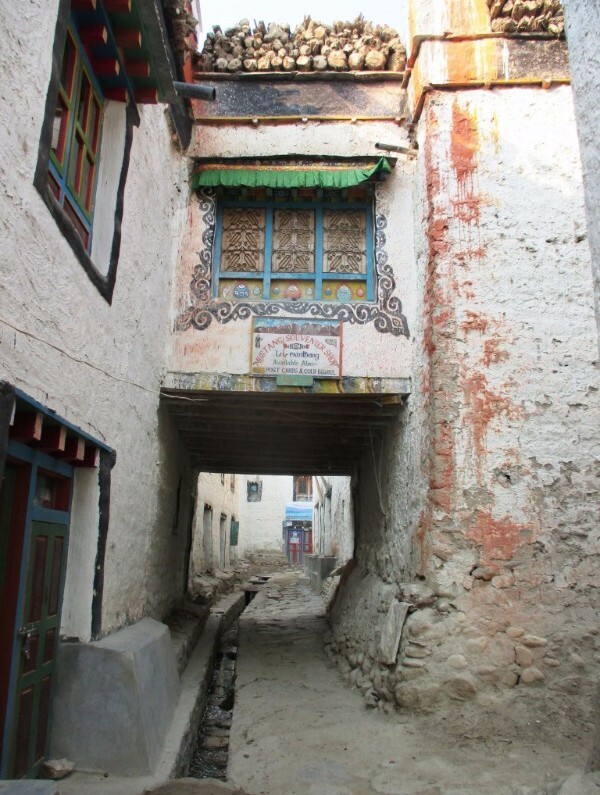 Coincidentally, our program manager Sabita Ghising ’14 also traveled to Upper Mustang in April, with a group of students, faculty and staff from her university. Here she is trying not to get blow away in Kagbeni! Copyright © 2016 Bo M. Karlsson Foundation, All rights reserved.